Damp can affect your property in different ways and if not prevented or rectified it can have devastating and costly effects. 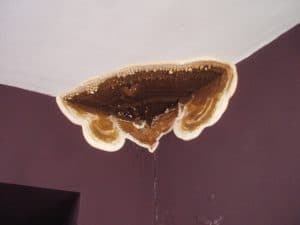 It’s worth noting that effects of condensation can often be confused for damp and you can read our ‘is it damp or poor ventilation damaging your home’ blog here. Rising dampness is caused by moisture rising from the ground and through brickwork via capillary action; an effective damp proof course (DPC) can prevent moisture rising above it. If a DPC is not present, or if it is breached, then the moisture can rise to a height of 1m internally. In order to rectify this type of dampness, an injected DPC may need to be installed or other preventative measures taken. The visual effects of damp vary depending on the intensity and time period it has been a problem. 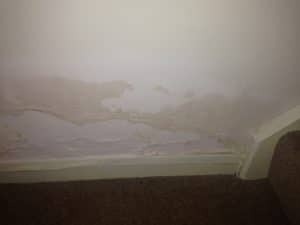 Below is an example of untreated rising damp found in one of the properties our property management team now look after. Penetrating dampness is caused by moisture entering through the walls rather than up them. It can be caused by many different things such as overflowing guttering, plumbing leakages, condensation, driving rain and vegetation growth to name a few. There are varying degrees of dampness and if it is detected early or prevented then repair costs can be minimal. If left to progress, then rectifying damage caused by damp can be extremely costly. The image below shows a very intense representation of this type of damp, this was caused by a leaking a gutter which had been ignored and left untreated! Having damp within a property can have knock on effects too – timbers are susceptible to rot, and the chance of rot heightens if timbers are adjacent to areas affected by damp. As with dampness, there are two types of timber rot; wet and dry. Wet rot: thrives in damp, dark and poorly ventilated areas; external joinery, sub-floor areas and basements are very common locations. Once the cause of the dampness is removed, any rotten timber should be cut out and replaced. Dry rot: The second, more serious case is dry rot. This type causes extensive damage as it can grow through bricks and mortar but feeds on timber. This can be identified by a fruiting body and a dull brown timber with cuboidal cracking. The timber becomes dry, brittle and structurally useless. 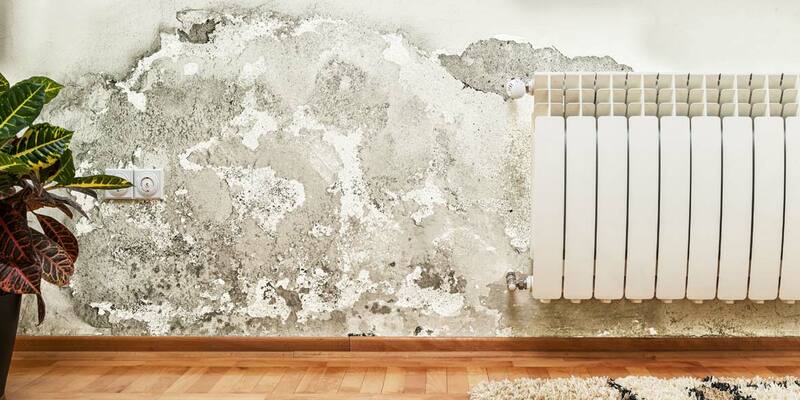 Damp and rot within properties can have serious consequences, if they are detected early, then there are many preventative measures that can be taken which will reduce the risk to your property in the future. 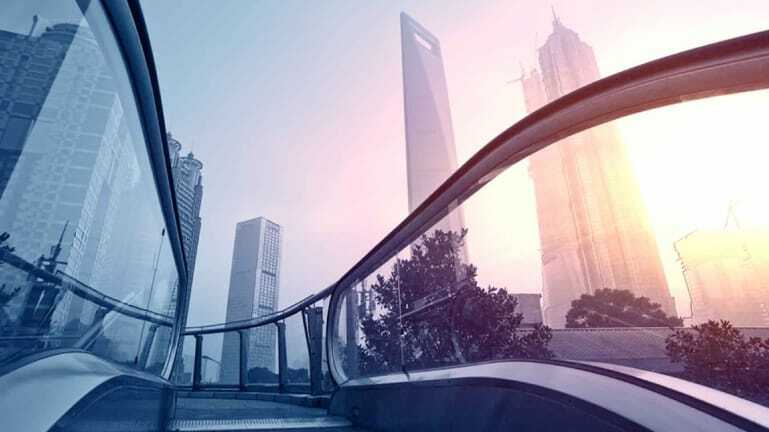 If you are concerned about the presence of any of the points above in your home, we have an experienced Building Surveying team operating throughout London and the South who can confirm the presence of damp and advise on any remedial works that are required. Get in touch using our contact form.